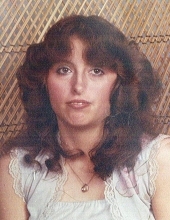 Rhonda Lynn Adams, 52, of Newberry died Friday February 8, 2019 at her residence. Rhonda was born on December 23, 1966 in Augusta, GA a daughter of Carolyn Leaphart Adams and the late Marvin Adams. She was a 1985 graduate of Saluda High School and a member of Good Hope Baptist Church in Saluda. She never met a stranger and she was always full of love, life and joy. Rhonda was loved by many. Survivors include her mother Carolyn Adams of Newberry; siblings, Joseph Adams (Kristi), Jacob Adams, Brandon Simon and Rebecca Adams all of Newberry; nieces, Savanna Word and Shana Carwise; and nephews, Hunter and Dillon Adams. Visitation will be on Monday, February 11, 2019 from 5:00 until 7:00 PM at Whitaker Funeral Home in Newberry. A graveside funeral service will be held at 11:00 AM on Tuesday, February 12, 2019 at Good Hope Baptist Church Cemetery in Saluda. Memories and online condolences may be sent to the family at www.whitakerfuneralhome.com. "Email Address" would like to share the life celebration of Rhonda Lynn Adams. Click on the "link" to go to share a favorite memory or leave a condolence message for the family.